The VFO buffer circuitry consists of a pair of bipolar transistors directly coupled in a shunt feedback configuration. The VFO buffer circuitry consists of a pair of bipolar transistors, directly coupled in a shunt feedback configuration. My schematic shows 2N3904 devices, but the ubiquitous 2N2222 works just as well in this 5 MHz circuit (the VFO covers 5.0-5.5 MHz). Shunt feedback decreases both input and output impedance of the buffer. Because the buffer isn't temperature sensitive, and will not contribute to drift, it's acceptable to mount this block on a small circuit board. 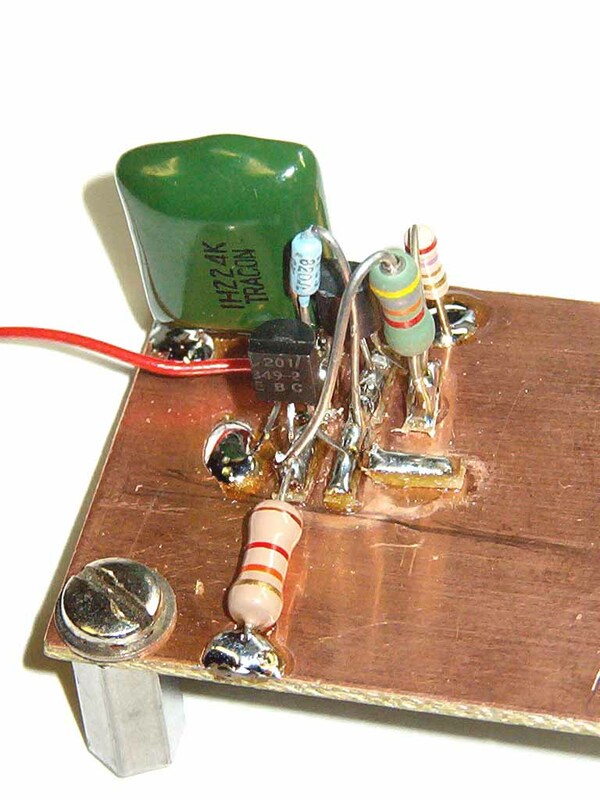 The technique for assembling this board, and others in the KISS transceiver, is called "Manhattan construction." You can learn more about this assembly technique by visiting the K8IQY Web page. Manhattan assembly is very fast, and while not necessarily the best looking method of constructing homebrew discrete-component circuitry, it works very well. 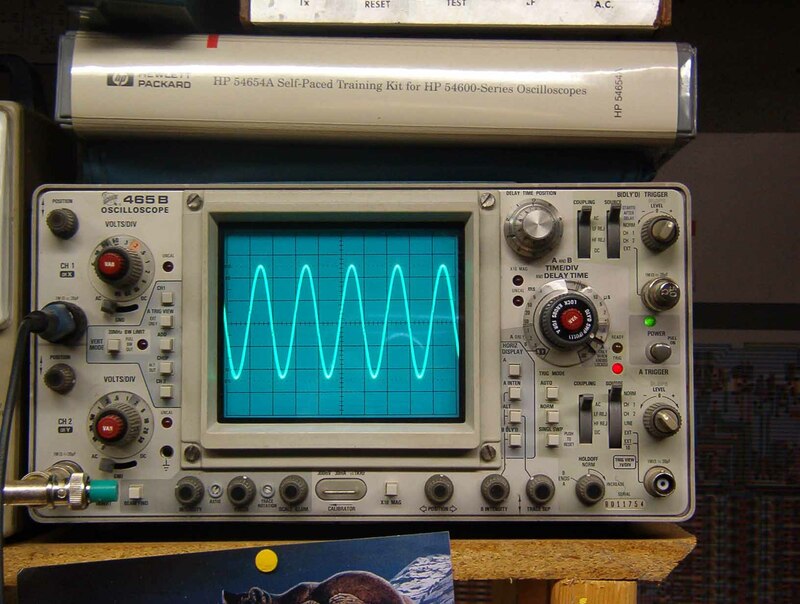 Here's what the unbuffered VFO output looks like on an oscilloscope. Nice sinewave, eh? Stable, too. The buffer circuitry installed looks like this. Or, click here to return to home page.